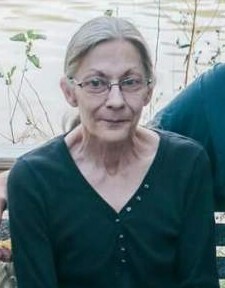 Shelby Jean Campbell, 63, of Peru, passed away on the morning of January 16, 2019 at her residence with her loving family by her side. She was born on December 26, 1955 in Martin, KY to the late Lougene and Edna (Hall) Hooks. She was a 1974 graduate of Wabash High School. On March 3, 1984 in Richvalley, IN she married Steve Campbell and he survives. She is survived by two daughters; Melinda (George) Cook, Peru and Kathy Campbell Feeney, Muncie, two sons; Gary Taylor, Peru and James (Jorena) Taylor, Peru, grandchildren; Justin (Alethea) and Shane Cook, Josh, Elizabeth, Cristy, Nick, Stephen, Kindra and Olivia Taylor, Victoria Anderson and Kennis Feeney, 9 great-grandchildren, three sisters; Markie Richards, Peru, Patty Correl, Peru, Marie (Mark) Dravins, Peru, two brothers; Zora Hooks, Peru and John Robert Hooks, along with several nieces and nephews. She was preceded in death by three brothers; Roger, Roy Lee and Lougene Hall Jr., two sisters; Carolyn and Nancy Hooks.